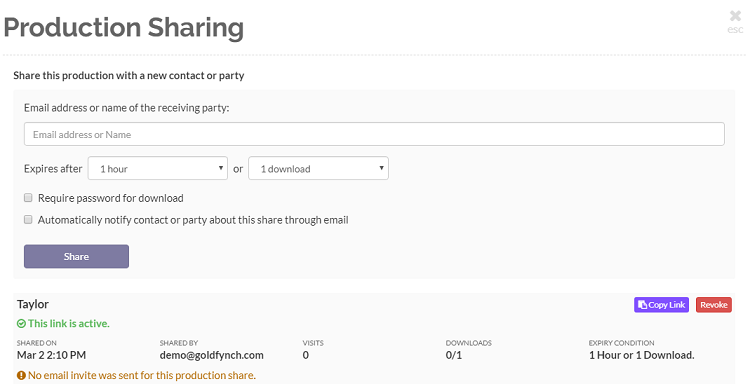 You can now share a production zip file generated in GoldFynch directly from the production interface by generating a shareable link. You can share a production’s zip file directly from the production interface without having to download the file. The case is shared through a ‘share link’ that GoldFynch generates which you can either copy and paste to the person you wish to share the case with, or which GoldFynch can automatically email to them. Additionally, you will be notified of the time and date the shared production was downloaded. 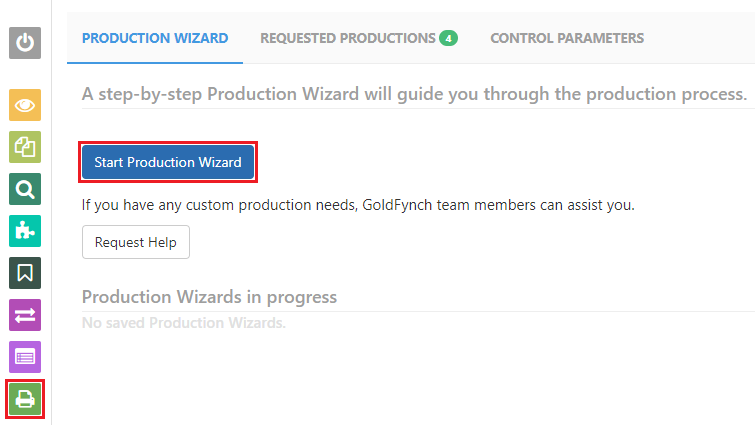 Once the person you are sharing the production with clicks on the link, they can choose to download the file from the link or create a new GoldFynch case with the contents of the production. As the sender, you will be notified of the time and date the production was opened/downloaded. You can always invalidate a share link by clicking the Revoke button on the right of the person’s name/email address, preventing them from being able to access or download the production file. You can also reinstate access by clicking on the Reinstate button.